Facebook is a highly valued channel for online retailers to drive more sales from new and existing customers, retailers are growing their usage and spending on video & mobile ads budget on Facebook. 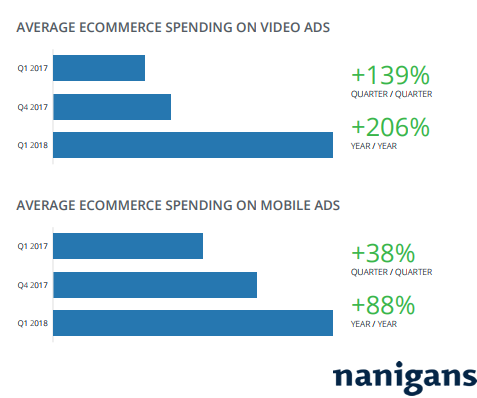 Online retailers are also increasing the usage of video ads, with spending rate 139% quarter over quarter, while the spending of the year over year of Q1 2018 budget growth increased by 206%. E-commerce advertisers are increasing their spending budget on mobile ads as shoppers browse and buy across devices. The average mobile ad budgets increased by 38% quarter over quarter and 88% for the year over year in Q1 2018. A Graph Shows the Average Spending on Video & Mobile Ads, 2018. 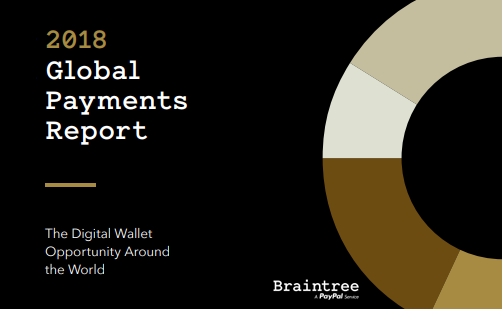 For more information, kindly check the “Global Facebook Advertising Benchmark Report Q1 2018“ full report.